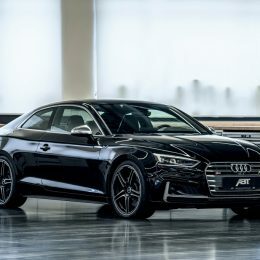 The second generation of the Audi A5 sport version has just recently appeared on the scene. 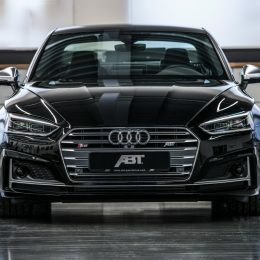 ABTSportsline, the world’s largest refiner of vehicles for the Volkswagen group, would of course not miss the opportunity of engine tuning for the S5s three model variants. 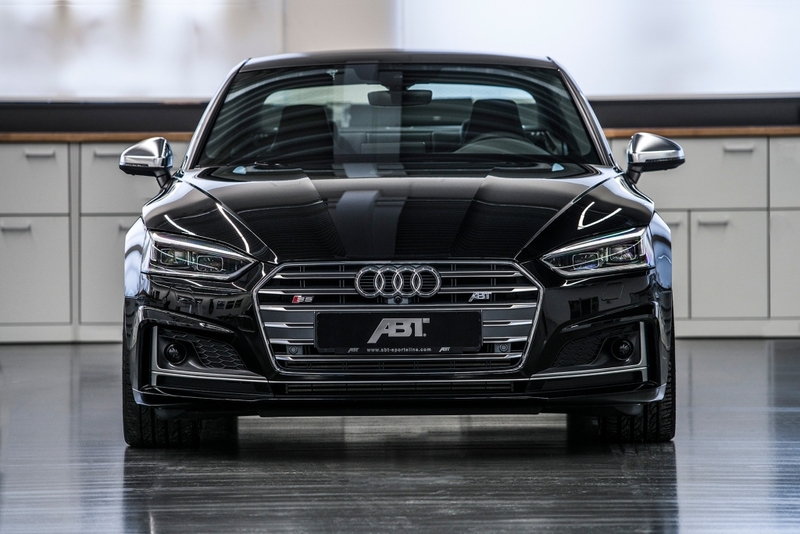 A considerable 425 HP (313 kW) and 550 Nm torque is available after a performance increase by the ABT experts. 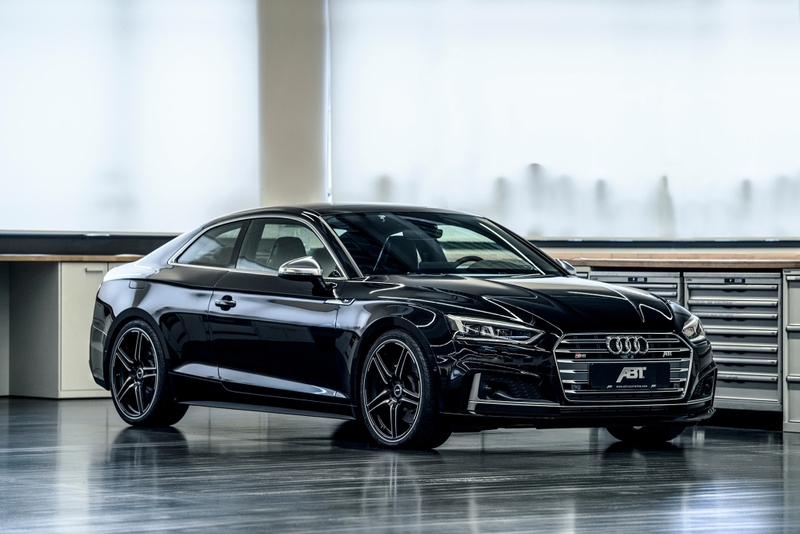 The S5 coupé, the cabriolet, as well as the five-door fastbackare able to take advantage of a 20% ABT POWER performance increase of the 3.0 liter V6 turbo engine. Despite the extra power, the Quattro’s engines are not overloaded. ABTSportsline therefore also offers the best warranty service: “We are confident in our work. The customer not only notices this but also benefits from it,”confirms Hans-Jürgen Abt, Managing Director of the vehicle refiner. 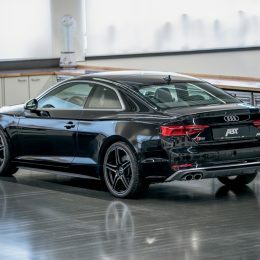 As the performance is to be heard and felt, but not necessarily to be seen, the sporting cars from Ingolstadt receive discreet ABT emblems on the rear and the front grille. 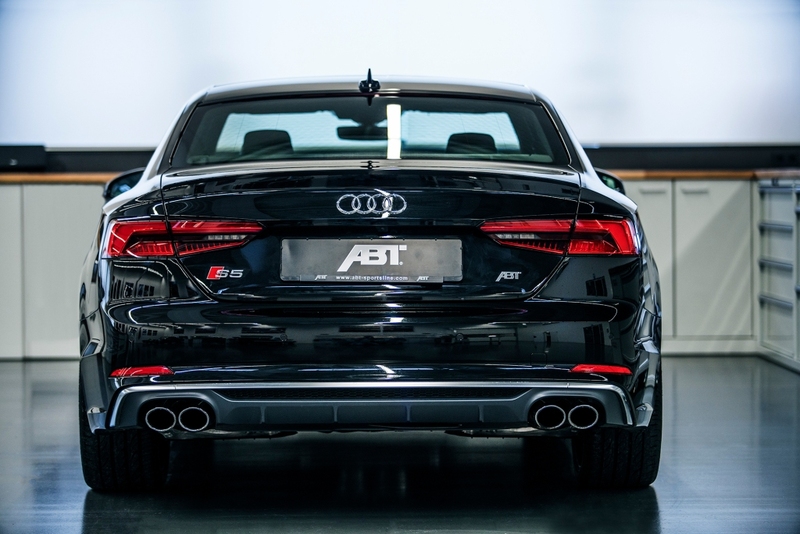 The ABT sports rims are another Power-Plus indication. Various 19 and 20 inch wheel rims are available in different colors. The highlight is of course the new 20 inch ABT Sport GR wheel rim available in “matt black” or “glossy black”. 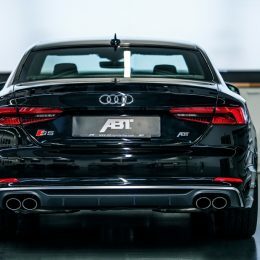 Those who wish to accentuate the sporty look, can turn to the rear skirt set consisting of the ABT rear skirt add on and a special muffler system. 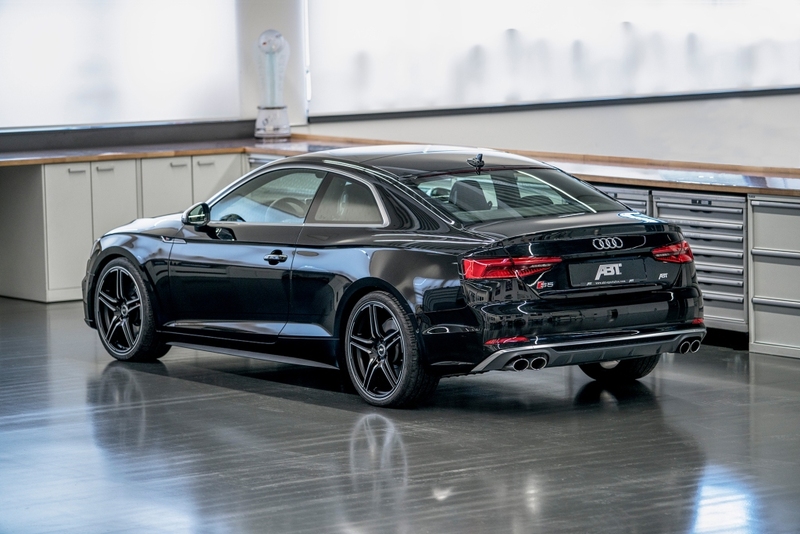 The ABT Audi also offers something different on the inside. The special character of the vehicle can be seen directly as the door is opened and the ABT logo entry lights project on the surface. And for the special something there is ABT individual, where almost every request can be fulfilled. “ABT vehicles are not only quality at the highest level, but also offer extensive possibilities for individualization. Only this way we can continue to exceed high expectations”, Hans-Jürgen Abt sums up his team’s particular capabilities.